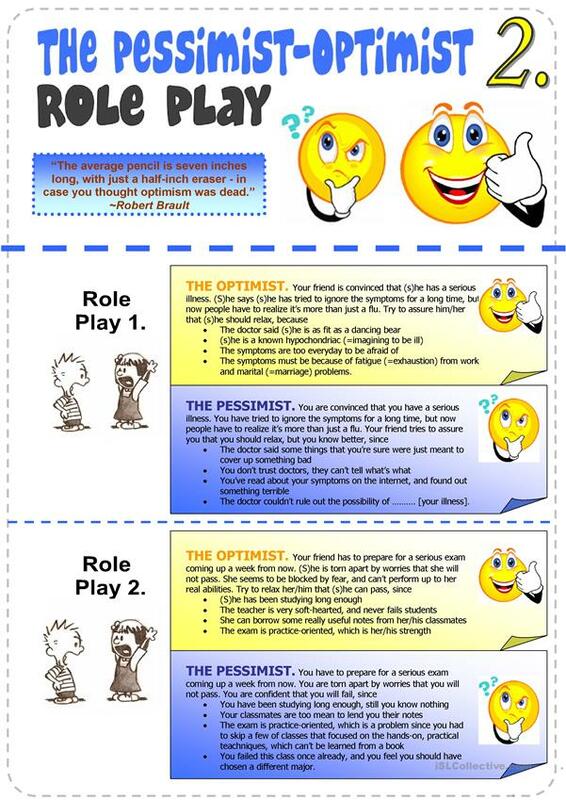 Two more role plays between the pessimist and the optimist. The above printable, downloadable handout was created for high school students at Pre-intermediate (A2) and Intermediate (B1) level. 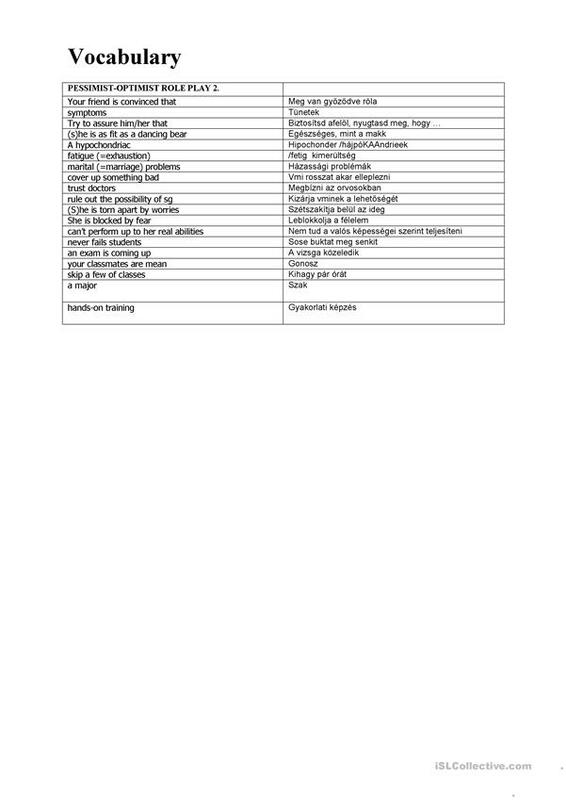 It was designed for honing your learners' Speaking skills.